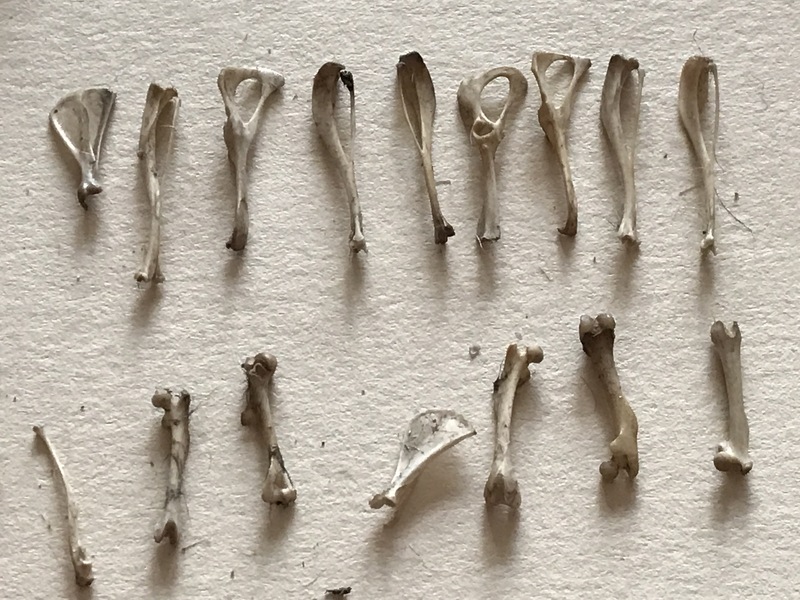 I’ve spent the last couple of evenings dissecting an owl pellet that we found on a country walk, beneath an old oak tree. This may have not been the most sensible thing to do in this heat, as the smell of damp dog from the soaked pellet was quite strong as I was pulling it apart! As it is so hot though, it was good to have a quiet, sedentary random act of wildness to indulge in. 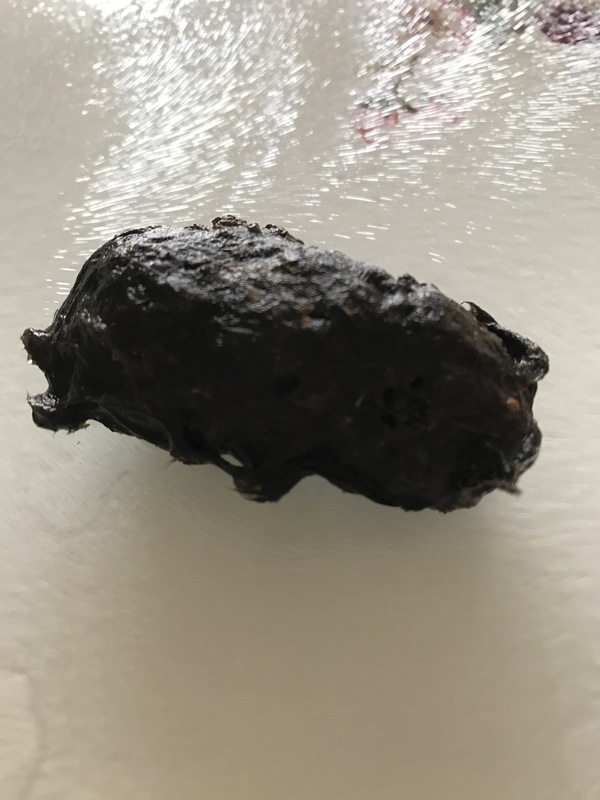 This is a barn owl pellet, quite large, about the size of my thumb, dark and knobbly. 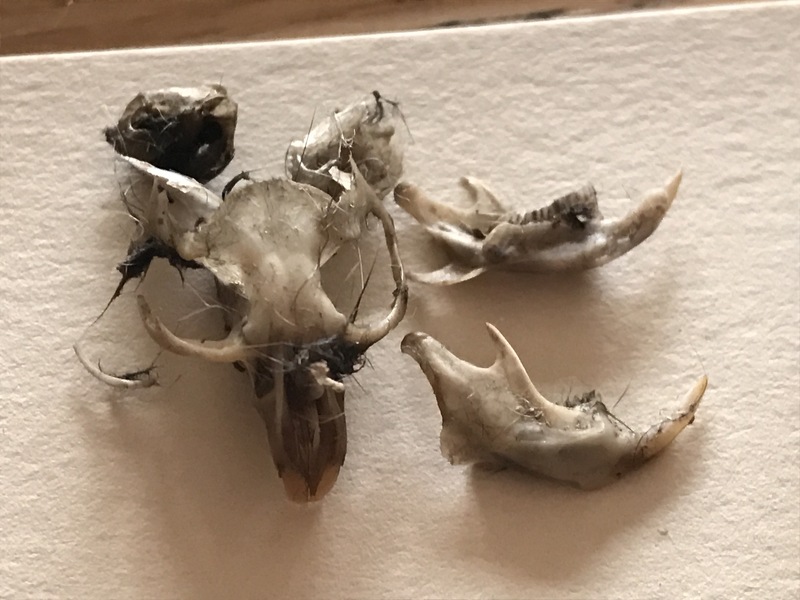 I soaked it for a couple of days in an old jam jar full of water and then pulled it apart, separating the various bones inside from the fur. 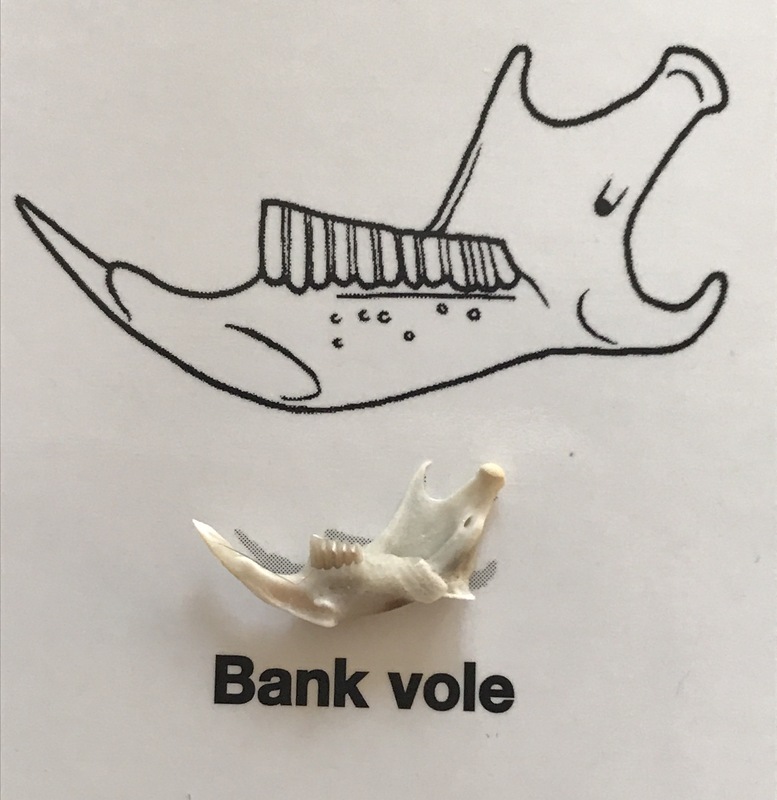 Three skulls inside, and lots of smaller bones. I left the bones to soak overnight with a denture cleaning tablet, which works really well to remove any remaining fur and detritus from the bones. This evening it was time to try to identify what creatures the bones had come from. 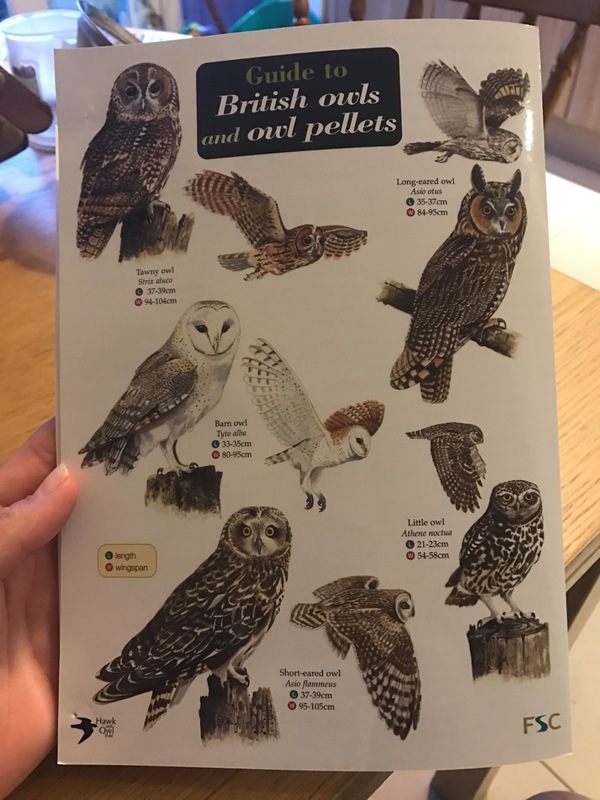 Handy FSC Guide to British Owls and Owl Pellets in hand I got to work, separating the bones out, matching similar ones together. 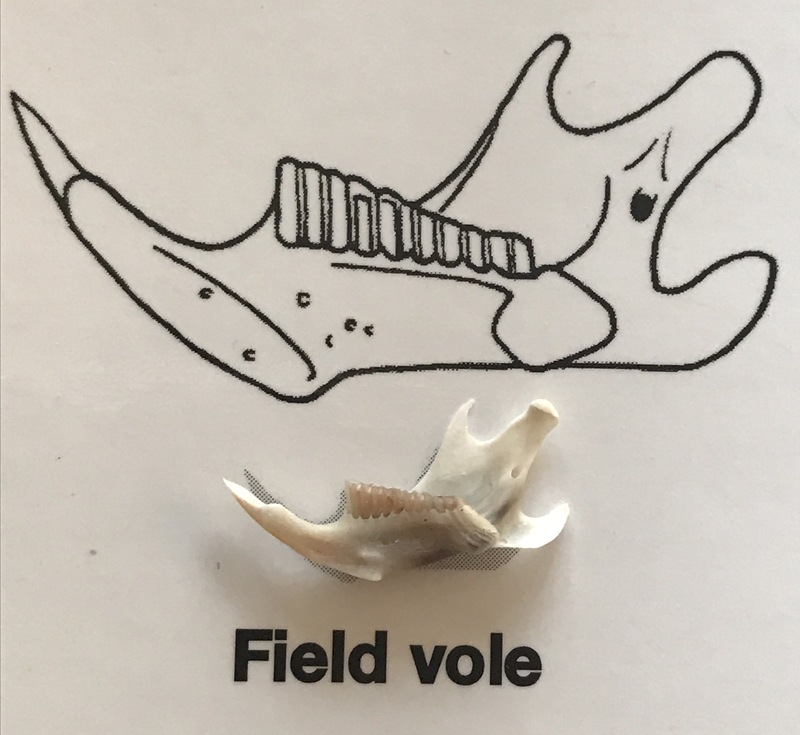 The skulls were from voles or mice, looking closer at the other bones, I was able to identify that two sets of lower jaw bones appeared to be from a bank vole and one set from a field vole. 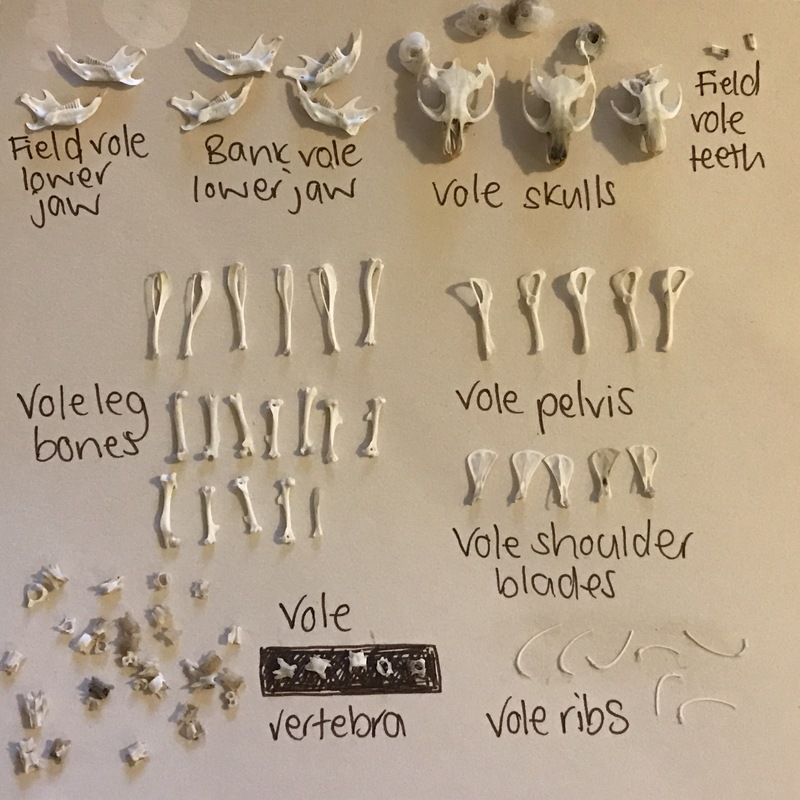 Looking closer at the bones, I was able to pick out leg bones, shoulder blades, pelvis bones, ribs and vertabra, all from voles. It was a fascinating glance into what the barn owl had been eating. 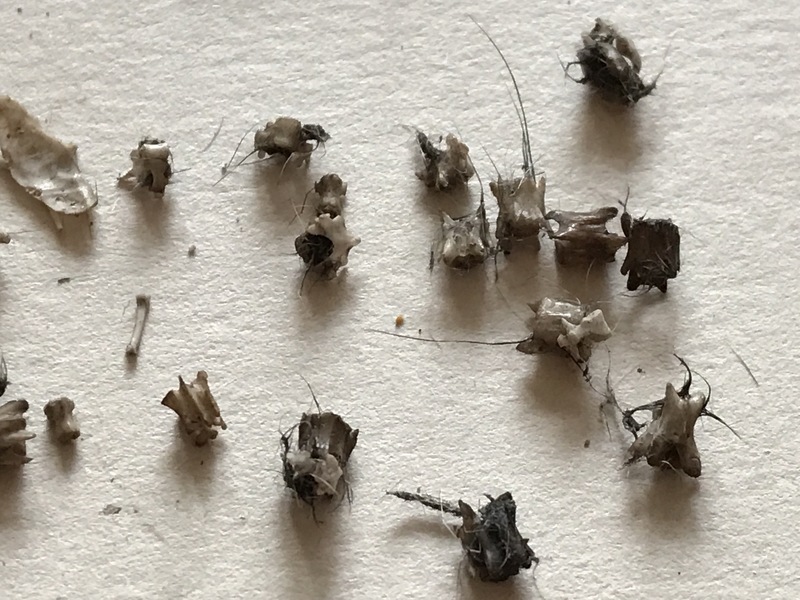 I’m going to keep my eyes open for pellets on our wanderings to see if I can find pellets of any other owls or birds of prey, I’d love to have a look through some more pellets to see what different types of creatures they’ve been eating. Love it Naomi! I’m glad I saw your arranging before I do mine tomorrow. It’s brilliant isn’t it. I was sent a whole box full, I think I’m going to get addicted to it! Such a brilliant idea, especially for 30 Days Wild! I need to find an owl pellet and have a go. Love the tip about denture cleaning tablets. Very handy. Got barn owls very nearby so lots of bones to clean. They work really well for cleaning bones, great for tea stained china too!